DVB-T/T2 TERRESTRIAL RF INPUT MODULE The VB252 is a dual input DVB-T/T2 input interface module that enables monitoring of digital terrestrial transmissions. Two modules may be housed in a 1RU chassis together with a controlling VB120 or VB220 probe, providing high monitoring capacity occupying a minimum of rack space. 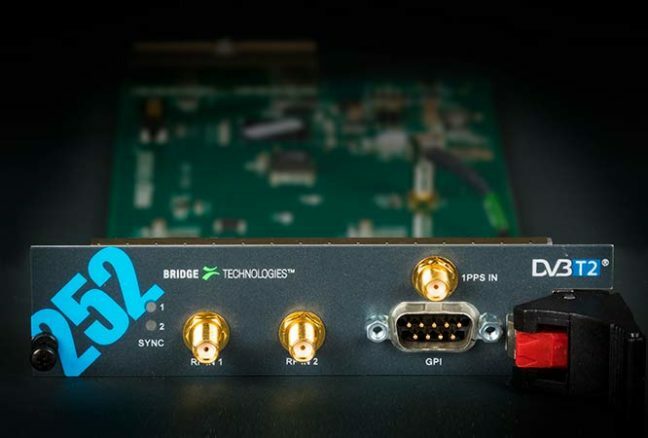 In addition to monitoring typical RF parameters, the monitoring solution optionally allows advanced analysis of the T2MI protocol in DVB-T2 systems; signal integrity is verified layer by layer. The VB252 also supports the T2 Lite standard with full analysis of T2 Lite transmissions. All this analysis functionality is complemented by the renowned Bridge Technologies ETSI TR 101 290 monitoring engine to ensure standards conformance at all levels. In a typical DVB-T/T2 system transmitter, sites are fed via IP infrastructure or via satellite distribution. 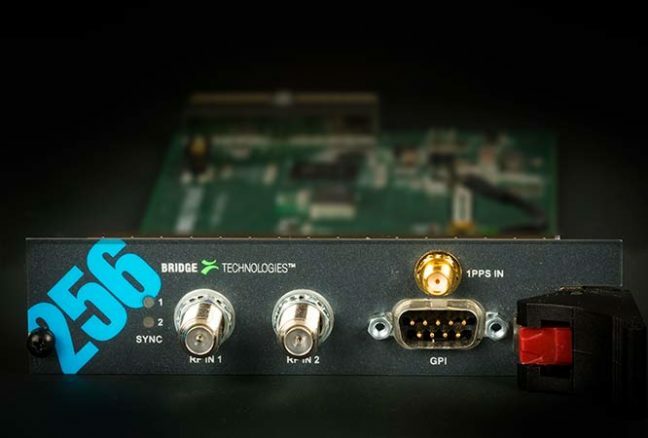 The Bridge Technologies range of interfaces and interface modules makes it easy to monitor the complete signal chain end-to-end. 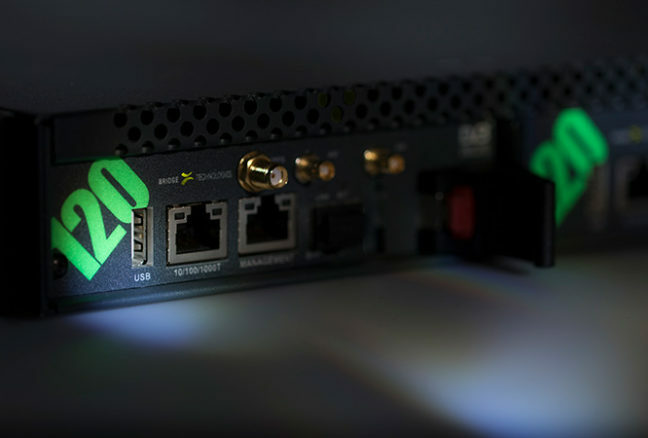 The VB120/VB252 combination enables monitoring of up to 50 IP multicasts, thus monitoring IP network distribution together with DVB-T2 transmissions. It is even possible to equip the monitoring chassis with a VB270 satellite interface module, which is valuable if combined IP and satellite distribution to transmitter sites is used. Similarly, the VB252 can be used with a VB242 ASI input module, enabling high density ASI and DVB-T/T2 monitoring. Impulse response analysis results are presented as a user-friendly graphical GUI, facilitating reflection measurement interpretation. Licence upgrades are performed by entering a licence key in the regular probe GUI and can therefore be performed remotely.